What comes immediately to mind when you hear the word Switzerland? 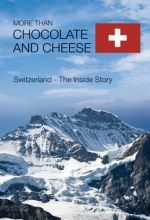 The majestic Alps, Swiss watches, international banking, chocolate and cheese? Switzerland encompasses all these things and more. Take an arm-chair journey through the sites and sounds of the real Switzerland in this fast paced, fun and informative documentary.